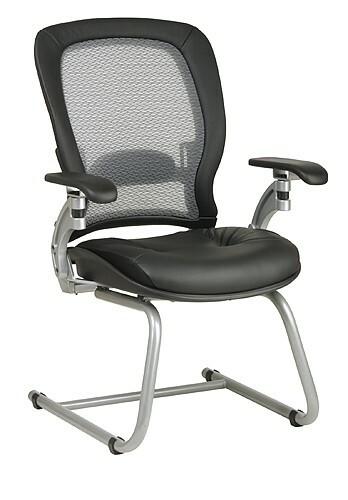 This bold executive seating collection features the popular Air Grid mesh back. Usually found only in chairs costing considerably more, Air Grid provides an incredibly cool and flexible seating experience without sacrificing strength or durability. The seats are top-grain leather and come with a rich platinum finish.